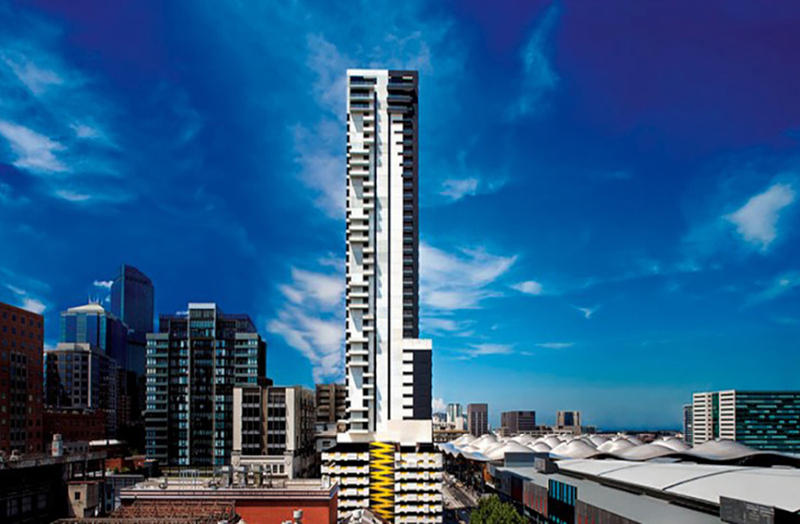 The Australian Institute of Architects’ Victorian Chapter is calling for a heightened focus on reform in the wake of an apartment building fire in Melbourne CBD, which firefighters say has combustible cladding similar to the material used on London’s Grenfell Tower. The fire started on the 22nd floor balcony of the Neo200 apartment complex on 4 February at 200 Spencer Street and quickly spread up the exterior of the building to the 27th floor. Chapter president Amy Muir says building quality and safety must be a priority for the government. “It is extremely fortunate that last night’s fire at the Neo200 apartment block did not result in any serious injury or loss of life, and for this we are thankful. “As investigations continue into the cause of the fire and whether non-conforming building products played a role, this incident serves to highlight once again the pre-eminent importance of quality and safety in our built environment. Muir says that while the Victorian Government has put in place some changes since the Lacrosse apartment fire in 2014, “much more remains to be done if the community is to have confidence that the building and construction industry is properly regulated and compliance is appropriately enforced”. Metropolitan Fire Brigade (MFB) chief officer Dan Stephens said firefighters believed the building was clad with similar materials as London’s Grenfell Tower, in which 72 people died in 2017. A forensic building inspector told the ABC that images of the tower’s exterior suggested there was a line of flammable cladding in panels where the fire broke out. While the building is made from around 90 percent concrete panels, there is a 10 percent mix of ACM panels. The cause of the fire is unknown.